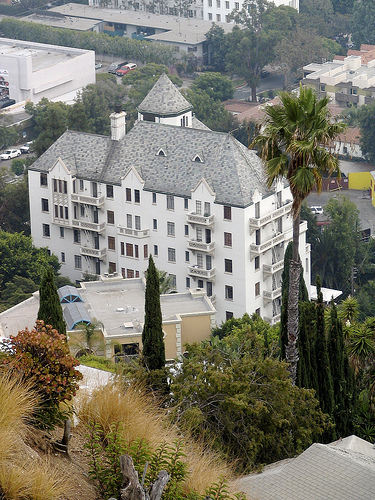 Chateau Marmont is a unique residence that has classic old school building style. 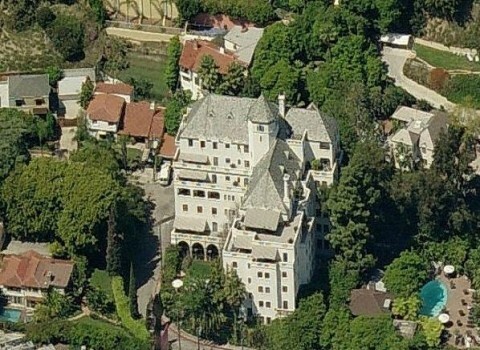 It is located at 8221 Sunset Boulevard in West Hollywood, California. This hotel is a fantastical folly in the land that take you to a old world different with another hotels in the world. 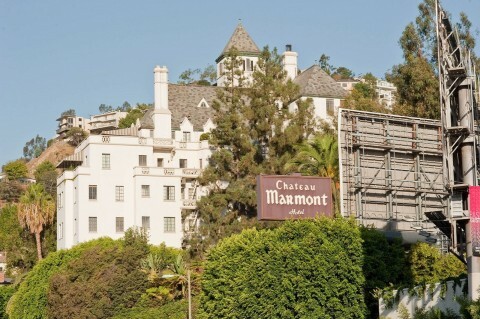 Chateau Marmont look like a great hotel in a hill with good scenery. When you check in is like turning up in the middle of an ongoing party at a European country estate. 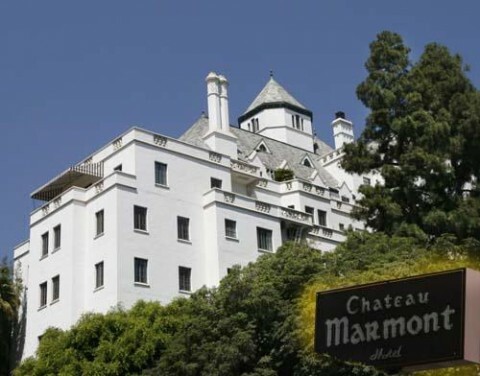 When you have already check in the Chateau Marmont , then you will find many interesting features that absolutely able to pamper you as living in a castle. Those attractive features are include a bar, fitness room, valet parking, complementary wireless internet access, movies on Demand, complimentary CD library, fretted baby lines, pet amenities, catering for all occasion, and etc. 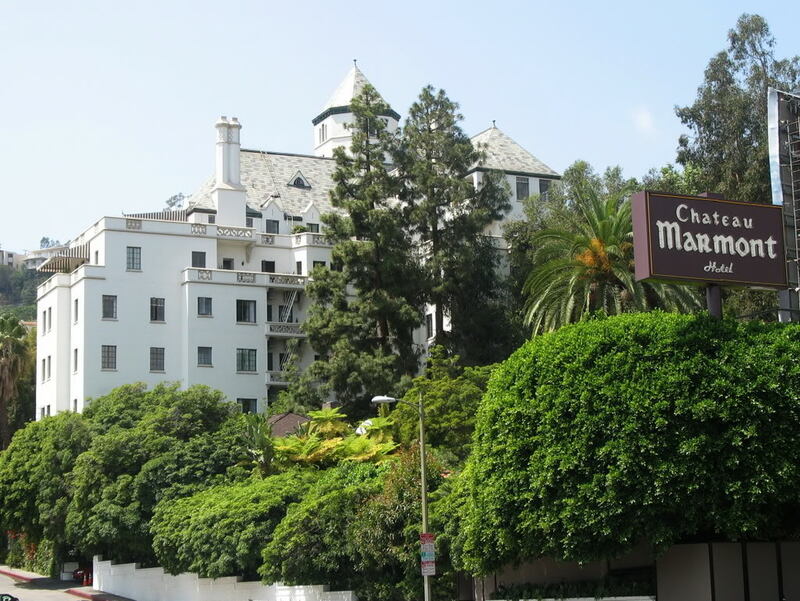 But the main incredible offer is that Chateau Marmont has heated outdoor pool for guest only surrounded by garden and large sun patio. Can you see how the features are complete enough for you and your partner or group? You even not look at the room interior yet. As the theme which rise the name of castle, the bedroom provided has a king and queen bed style. the room interior even make you feel as a real king. The rooms can be divided into several type, that are bedrooms, suites, garden cottages, hillside bungalows, poolside bungalows, one bed penthouse and the last two bed penthouse. For the bungalows and penthouses, Chateau Marmont also provides full kitchen with dining area, hardwood floor, private terraces, dressing area and large living room. The idea of the Chateau’s restaurants give you special and delicious meal for breakfast, lunch, dinner, late night and wine menu. 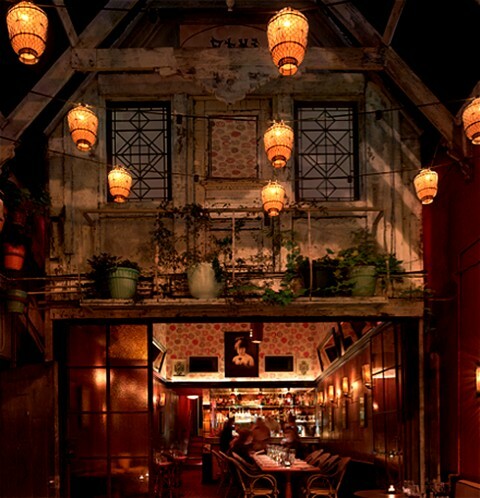 The restaurant here features an intimate indoor dinning area as well as an idyllic a garden terrace. Here all guests can enjoy traditional American meals prepared by chef Carolyn Spence. For you who love with wines, Chateau Marmont serve many wines in different type, such as California, French and Italy. Each of them also has sub type wines likes red wine, white, rose, sparkling, half bottles, and champagnes. So, have you make a reservation yet? 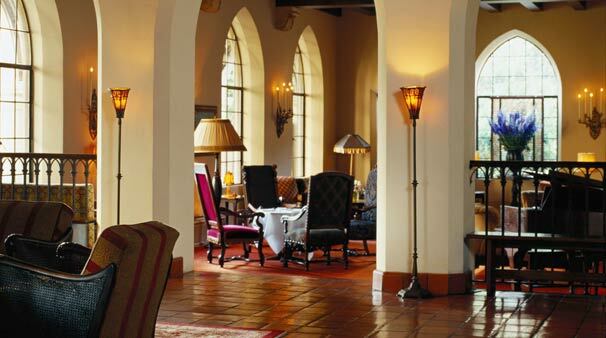 Get a nuance of a castle hotel and enjoy all the comforts provided for you .